Once a year, The String Bean gets everyone together to create some new dishes to update our menu with. This year we’ve added several appetizers, a pizza and brought back a fan favorite from way back in the day. In total we’ve added 9 new items to our menu, and we can’t wait to share them with you! Below you’ll see short descriptions of our new dishes. This scrumptious appetizer is the perfect size so you don’t fill up before dinner. 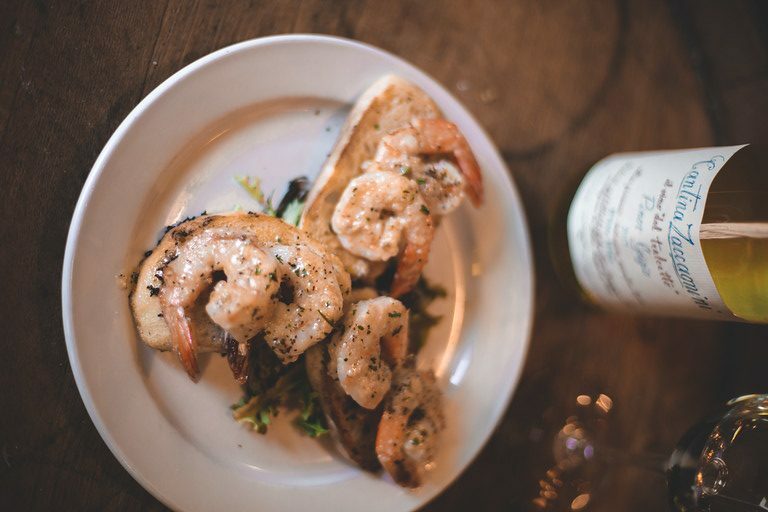 It includes several jumbo shrimps sautéed to perfection in garlic butter and fresh herbs. The shrimp are then served over toasted baguette slices. Of course, because we’re all about fresh seafood at The String Bean, this is 6 ounces of the absolute freshest tuna we can get. This is served with sticky rice and seaweed salad, and the tuna is cooked to your liking, though we recommend rare to medium rare. This new appetizer started out as an appetizer special that people couldn’t get enough of. We used to get calls all the time asking if we were serving up calamari that night, so we decided to take the leap and officially add it to our menu! The dish includes a generous portion of hand breaded and lightly fried calamari hand tossed with banana peppers, tomatoes and green onions for a little kick. It’s served with a marinara sauce as well as a garlic aioli that will knock your socks off! In perfect keeping with the fresh seafood theme, this salad is a fresh bed of chopped romaine topped with a healthy helping of lump crab, fresh avocado slices, crumbled egg, tomato and grilled asparagus. You’ll find the delicious Louie dressing on the side. 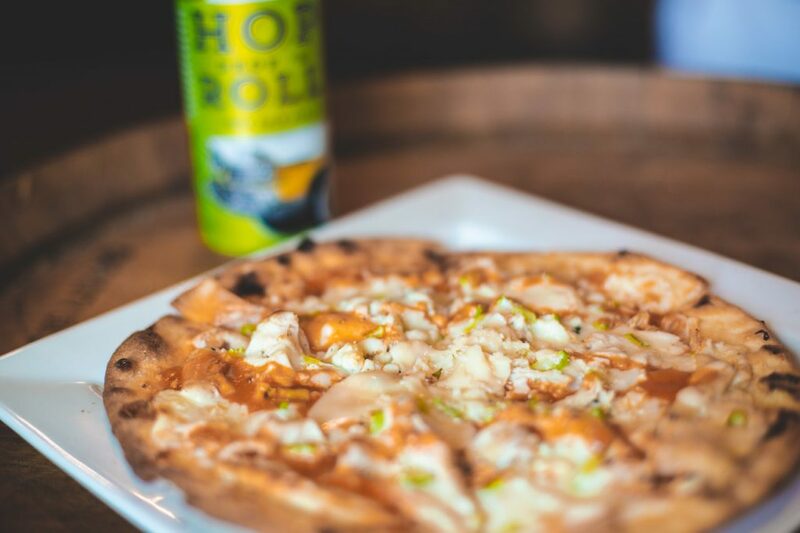 We start this beauty of a pie out with a ranch base and top it with roasted buffalo chicken, chopped celery, mozzarella, blue cheese crumbles and a drizzle of buffalo sauce. We don’t make the pizza too spicy, but we’re happy to crank it up a bit if you’re looking for extra kick! Sautéed jumbo Gulf shrimp, garlic butter cream sauce, diced tomatoes, asparagus tips and freshly shaved parmesan over fettucine. Served with toasted baguettes so you can sop up the bowl! 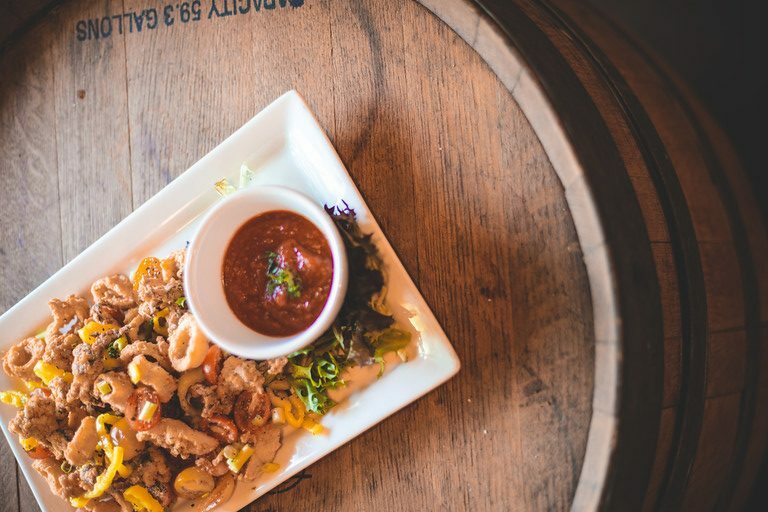 Goes perfect with a glass of white wine or a local IPA. That’s right, The Don is back! This used to be a sandwich on our menu that was removed a while back, but we’ve had many requests for its return. 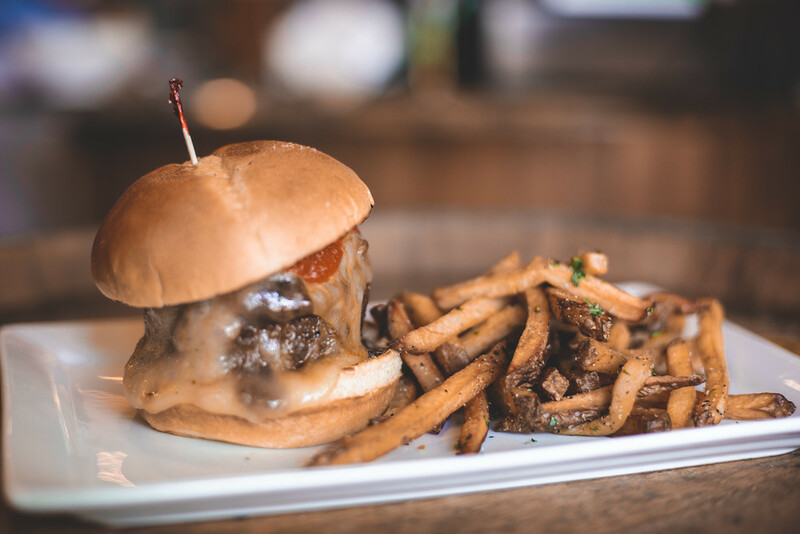 We’ve reimagined this old favorite as a burger with an 8-ounce Certified Angus Beef patty topped with grilled onions and mushrooms, warm marinara, melted provolone and garlic aioli. 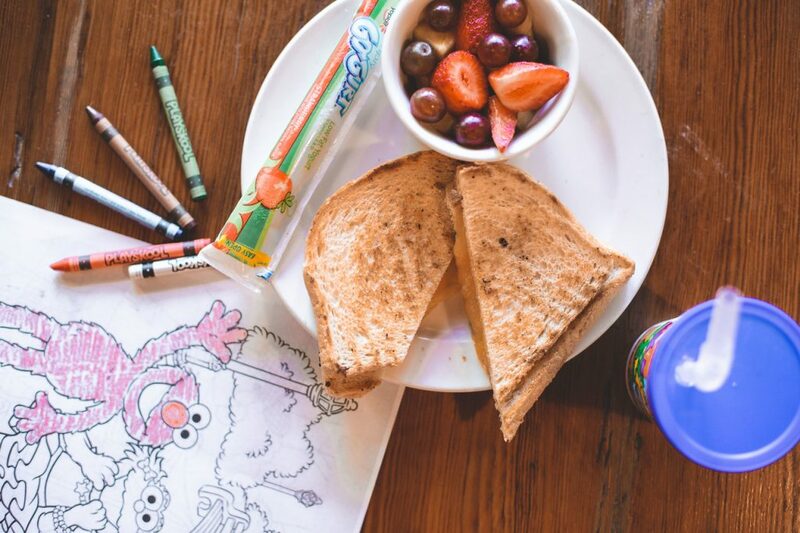 Perfect for the munchkins! These crispy mini corndogs come with a side of ketchup and one side. A little twist on classic kid favorite, this is grilled cheese, but panini style! This comes with a side, and you can add ham or turkey for $1 more.